For a project that I have been working on (which is extremely space-constrained) I needed a second analog input – but the ESP8266 has only one. Whereas additional digital I/O lines can be accommodated quite easily using an external shift register to convert them into a serial stream, this is not as simple for analog signals. In specific situations you can get away with having only one ADC by multiplexing your sensors. In my scenario, because I was measuring totally unrelated things, this was not possible. The most obvious approach is to add an external ADC. The drawback is that this requires you to get to grips with how to control your particular ADC chip, and beyond that to get serial communications working correctly. A further negative is that these ADCs usually require additional components in the form of stabilisation capacitors. I therefore came up with a simpler alternative – using an analog switch ic. I was pleased to discover that they are now available in extremely small form factors. Actually, my choice turned out to be rather too small – at a size of 1 mm x 2 mm, soldering directly to each pin (without the benefit of pcb mounting) proved more of a challenge than I was looking for. 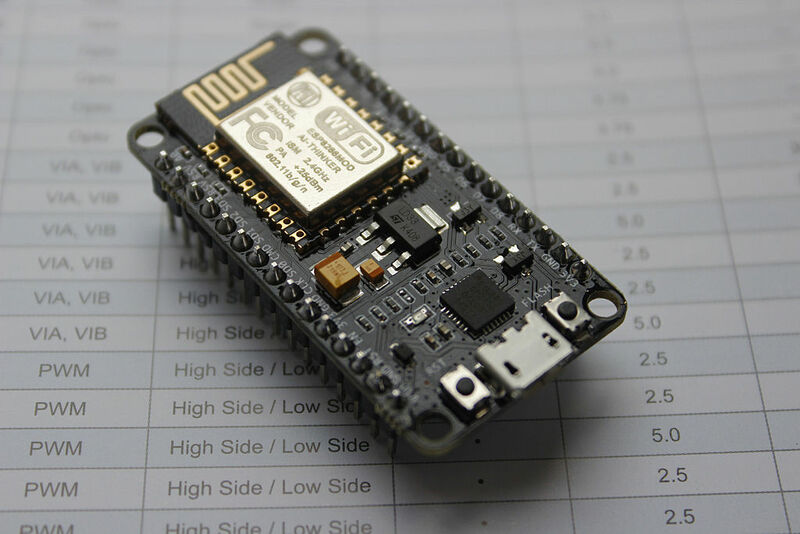 Recently, I have been using MQTT to stream ESP8266 sensor data to a Mosquitto broker running on a Raspberry Pi. I wanted to develop something to show the stream graphically. I specifically wanted to build something along the lines of Dygraph’s dynamic update demo, except that I wanted a constant scrolling “window” of values – like a heart monitor for example. (Really, what is the use of having all your data scrunch up against the left of the window?). Having solved that issue, I then had to connect the graph to my MQTT broker to be able to receive live data to display.